Three-Member Panel is to Hear the Case Against Anandi Sashidaran! 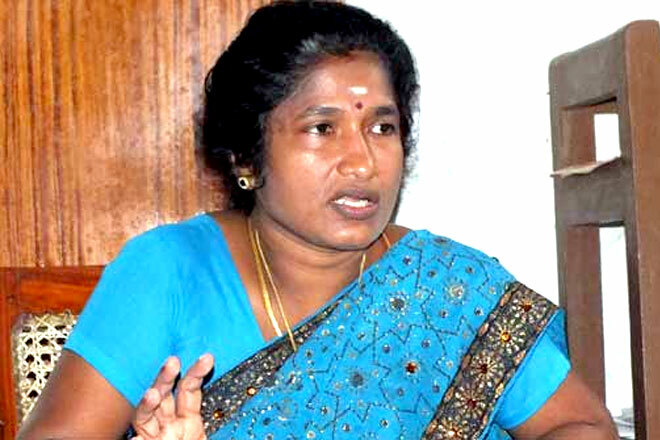 Governor, Northern Province, Reginald Cooray, has appointed a three-member panel to investigate allegations against former Northern Provincial Council Minister Anandi Shashidaran. Former Chairman of the Provincial Council CVK Shivagananm has filed a written complaint on the financial fraud allegedly committed by former Minister of Women’s Affairs. These allegations have been levelled against the fraud related to the funds which allocated for the kidney patients and the cardiac patients in Northern Province. Court Case Against Udayanga Weeratungaa In Dubai in Progress !